Board a TRAIN TRIP bound for MACHU PICCHU and cut a path through the Sacred Valley to this “Lost City of the Incas,” discovered by American explorer Hiram Bingham in 1911. On a GUIDED TOUR, explore this intact fortress with its temple remains, holy houses, and mile-long aqueduct. 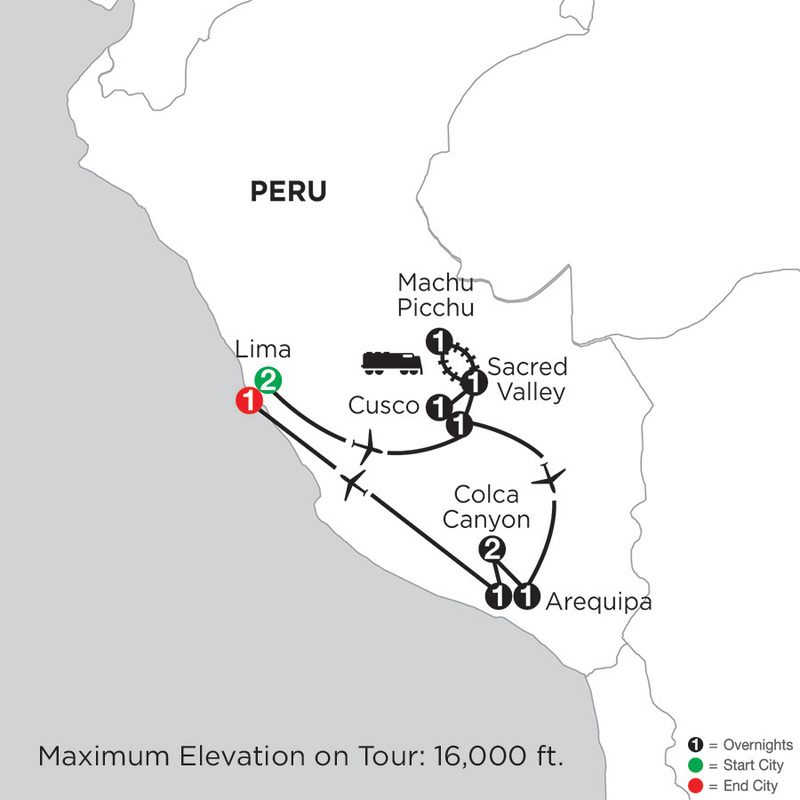 For hikers, a brisk one-hour walk leads to the Sun Gate, the ancient entrance used by the Incas.